The area of Maakri Street is the birth place of Tallinn’s industry. This street ran parallel to Härjapea River, the river with the largest volume of water in mediaeval Tallinn. Back in the middle ages, there already were watermills and tanneries here. Craftsmen were the main inhabitants, since their activities polluted too much (tanning, boiling tallow, processing flax) or took up too much space (milling, bleaching textile) to be located within the town walls. Arable lands begun right behind the houses. As the river, which had powered mills and industries since the 13th century, was finally more than polluted and about to grow over (the spillway gutters of toilets ran into the river, too), it was covered with panels in 1914 and permanently directed into a waste water drain in 1937. Härjapea River is still flowing under ground to this day – it is evident from the floods that occur on Maakri Street during snowmelt or heavy rains. The watermills situated on Härjapea River later went on to grow into quite a few bigger industries. 1877, the Grünwald (later called the Union, turned in Soviet times into a footwear factory called Kommunaar and a factory for fancy leather goods called Linda) leather factory was established. A paper mill was situated at the current site of Stockmann department store. The Birk family lived in the area as early as in 1625. They founded their steam dyeing and dry cleaning industry in 1820, being the oldest one in Estonia specialised in these activities. In 1910, the lovely Art Nouveau building at Maakri Street 23 was completed. The building was designed by Russian architect Aleksander Jaron, another project of whose is, for example, the building at Estonia pst 13 – the office of the Bank of Russia in Revel (the Russian form of the German name for Tallinn), which was also the main office of the Bank of Estonia until 1935. The building was occupied by dry cleaning, dye-works and textile dressing workshops. The Birk family inhabited the second floor. As an advertising of the time shows, the following services were provided: "dyeing, preshrinking, charing, decatising, dressing and bleaching, dry cleaning of suits, dresses, coats, silk clothing and so on, garment pressing on the Hoffmans Method machine from America". The ad does not fail to note that the Birk industry has won "a Grand Prix and 7 golden honorary medals". A document detailing the property dating back to 1937 has been preserved, revealing that the house was surrounded by a gray fence of 2 metres. There were wooden gates to the fence, two sheds in the yard, a cellar, fruit trees and bushes, and 12 chickens. At the time, the house was owned by Martha Dethloff, who leased a portion of the rooms out, since there were three flats in the building. 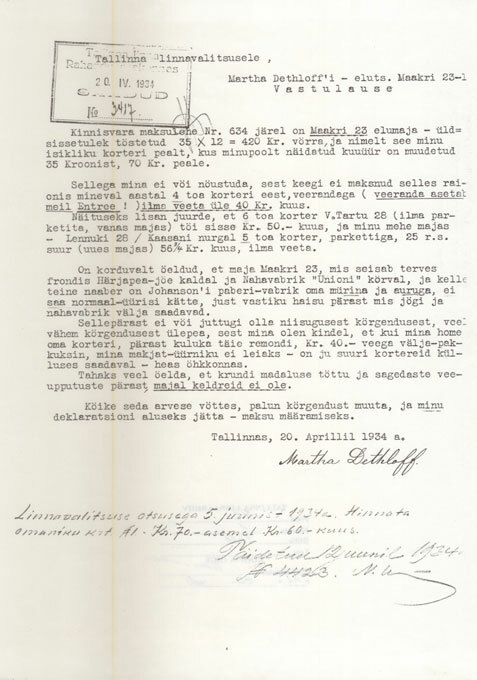 A letter by Mrs Dethloff to the Tallinn City Government has been archived. The letter is a response to an increase in taxes: "The Maakri 23 house has no possible way of obtaining decent renters, as the river and the leather factory emit such a foul stench, and that is why there can be no mention of a tax raise of any sort". 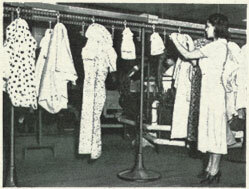 During Soviet times, a production business of the name Kiir was active in the building; dry cleaning and dyeing services were provided, and there was also a self-service laundry, opened until 1992. In 1994 the building was bought at a public auction by a German enterprise called a+4 Marketing Systeme GmbH. OÜ Maakri Keemiline Puhastus (Maakri Dry Cleaning) was established. The enterprise owns the building even today. 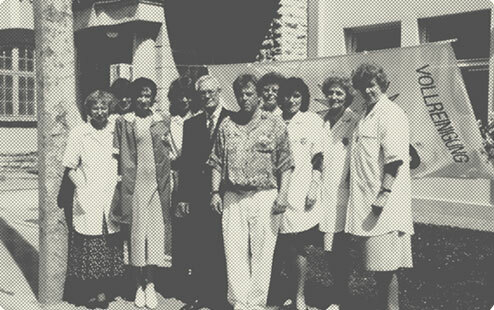 AS Harju Ehitus restored the building thoroughly and 2 June 1996, the first Sauberland dry cleaning outlet in Estonia opened its doors to the public. The chain later opened outlets in Tartu, Pärnu and Narva, and there were reception desks in Viljandi, Jõhvi, Rakvere, Kohtla-Järve and Sillamäe. 2 June1996, when the first Sauberland dry cleaning outlet was opened at Maakri Street 23. The house is surrounded by a Japanese garden, complemented by two sculptures: an eagle as the symbol of Saaremaa, the biggest island of Estonia, and a hedgehog, the advisor of Kalevipoeg, the greatest hero of Estonian folklore, as the symbol of Estonia. In 2008, the Sauberland dry cleaning chain was sold to OÜ Sol Eesti. There are several people employed in the building who have had a connection to the house for as long as over 40 years, who love the building and their work. This is most rare; it gives the building a soul and is something to be grateful for. In addition to a hair salon and offices located in the building nowadays, a dry cleaning station and a laundry are still active in the building.